Match Reflection: ‘Hand of Rod’ steals victory away from Villa at The Hawthorns. 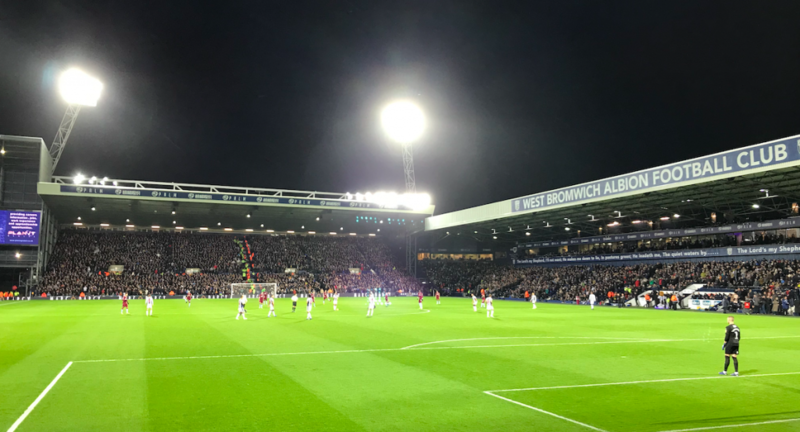 Villa took a few minutes to settle at The Hawthorns, but once things started to click, Albion look mightily ordinary. Let’s park that late handball drama. Just for a moment. On another night, where Hutton remembers how to properly clear a football, McGinn shoots 2 inches further left and Tammy Abraham’s legs don’t get in a tangle, this is another straightforward away win. As it transpires, there was going to be the dark arts of an official set to intervene. However, the positives to take away from this freezing, wintry evening were innumerable. Once again, we looked a purposeful, threatening unit. Bolasie and El Ghazi on either flank offers an unpredictable if enticing proposition. Their standard of crossing has improved us no end, as has their ability to terrify defenders. El Ghazi shone. The Dutchman, who has only recently found form and favour, dazzled across the 90 minutes. If kept fit and confident, he could be a real asset to us. El Ghazi’s first goal took a big deflection but came after he retrieved and fired an effort goal-bound. His second, after good work from Grealish, was an opportunistic, unstoppably fierce strike into the top right corner beyond Johnstone. It was a real stunner to silence the locals. Overall, the former Ajax man impressed with his skill all evening and was pretty much unplayable. James Chester impressed too on his return to the club where he wasn’t considered good enough under Tony Pulis. 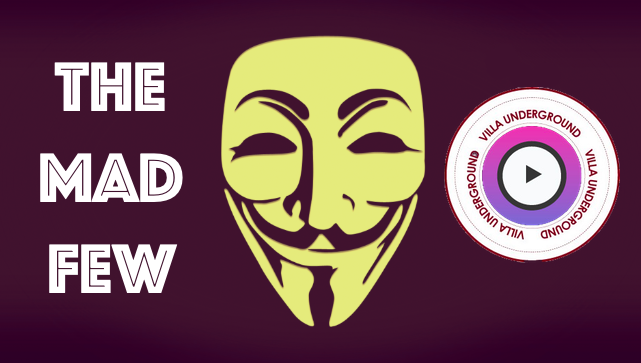 Chester has blossomed at Villa and delivered a suitably solid display. Concerns do though remain about his knee, with the skipper visibly working the joint at every opportunity when the ball went dead as the game went on. 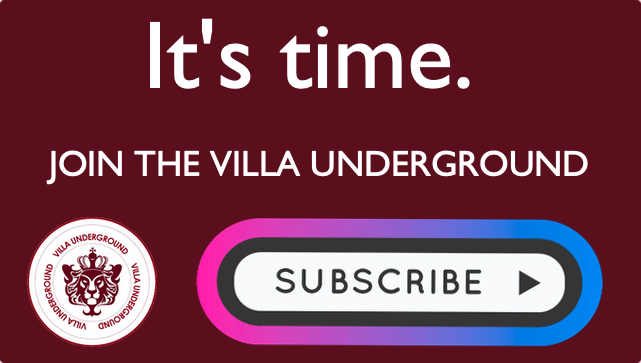 There is real rhythm to our play, it’s suddenly a pleasure to watch Villa, finally, largely pondering how me might next conjure an opportunity to hurt the opposition. This is what, in part, makes the draw all the more annoying. There are always areas for improvement. Defensively we are not quite up to shape. One can’t help but wonder if Elmohamady shades Hutton in terms of completeness. Hutton, a consummate trier, is prone to positional lapses. This was again evidenced in the build up to Albion’s first goal as he struggled for pace, recovered, only to find himself sprawled out and dispossessed. Tammy Abraham, who despite his prolific return in terms of goals, will reflect on two glorious wasted opportunities to put us out of sight. The first saw him tangle his own legs when only needing to slot in to make the game 3-1. A glaring miss. The second was a harder chance, as a headed effort was spurned after good work from the Man of The Match, El Ghazi. So perhaps it’s what we already know? We must be tighter at the back. The fact we have the fifth leakiest defence in the division is something that needs to be addressed. This perhaps makes missed chances all the more important; but we still shouldn’t miss them. So what about the Rodrigues handball to gift Albion a draw? In the modern game, it shouldn’t happen. Indeed, in the traditional game, it shouldn’t either. As listener’s of the My Old Man Said podcast will know, my ticket for the game was in the Albion end. Perhaps it was karma that I should be sat about ten feet away from where Jay Rodrigues handled the ball into the back of the net? Whilst our allegiances might be different, nobody in the ground could believe that goal was given. 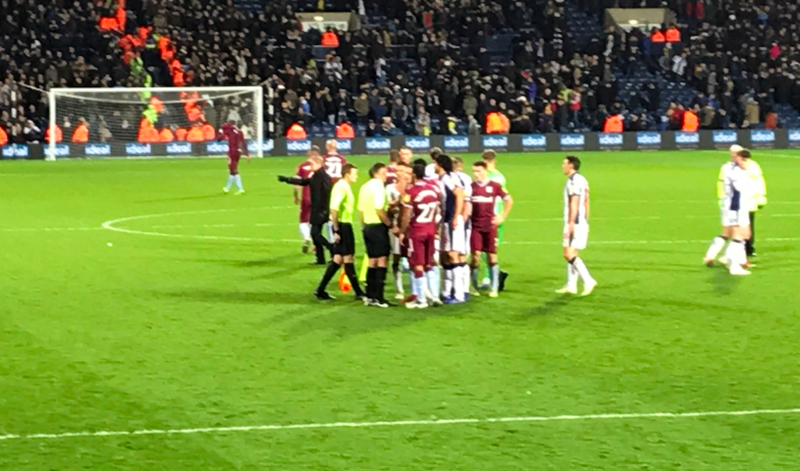 The most baffling thing was that even if the referee was unsighted (which it appears he was), his assistant had a clear and completely unobstructed view of the incident. It wasn’t a slight touch, it wasn’t deft. It was an absolutely clear as day handball, irrelevant of what Rodrigues’ intent was. Hand. Ball. As supporters we will go away rightly aggrieved. Albion fans will of course lament their good fortune. 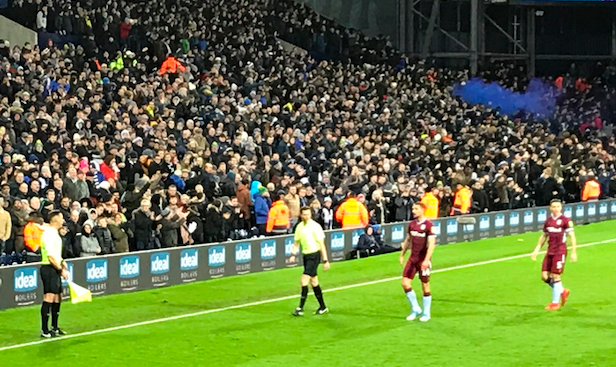 As Villa fans, given that we have been masters of our own downfall as a club for so long, it somehow feels worse to be on the end of a truly dreadful officiating decision. Whilst we are in good shape to move on from it, one can’t help but ponder what difference two stolen points might have upon our season. At this stage it’s not worth thinking about. Our efforts are best channelled into maintaining our good run, form and momentum up the table. 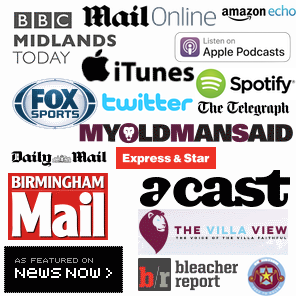 Predictable Preston: Villa’s collapse a familiar sight and recurring nightmare. 9th straight defeat confirms relegation – It’s time to name and shame those responsible. They have disgraced Aston Villa.